Wing’s (1981) accounting of Asperger’s Syndrome increased familiarity and interest in the diagnosis in the United States; since that time there has been a steady increase in the number of people identified as having the disorder. Actual prevalence is difficult to ascertain because of the constantly evolving nature of the diagnostic criteria. Several authors (Wing & Potter, 2002; Fombonne & Tidmarsh, 2003) indicate that most of the reported rise in prevalence is due to changes in diagnostic criteria and increasing awareness and recognition of autistic spectrum disorders. Current DSM-IV-TR (2000) diagnostic criteria for Asperger’s Syndrome include qualitative impairment in social interaction and restricted repetitive and stereotyped patterns of behavior, interests, and activities. The disturbance must cause clinically significant impairment in social, occupational, or other important areas of functioning. Additionally, there are no clinically significant language or cognitive delays in the first three years of life (see Appendix for full details). Several conditions have been identified as having a high level of co-morbidity with Asperger’s Syndrome. Mood disorders have been co-morbidly identified with Asperger’s Syndrome (Klin & Volkmar, 1997, p.105). However, Duggal (2002) warns that traditional methods of medication management may not be appropriate for children who have Asperger’s and that further research is necessary in order to more fully explain what treatments are best and why those treatments work. Schizophrenia has been identified as being linked to Asperger’s in several single-case studies but there are still questions about the validity of this determination (Klin & Volkmar, 1997, pp.104-105). Gillberg & Billstedt (2000) identify that co-morbid conditions are to be expected with autistic spectrum disorders and that weaknesses in the diagnostic and classification manuals may contribute to this confused pattern of co-morbidity. They advocated for stricter diagnostic classifications. There may be identifiable patterns of neuropsychological profiles in children who have Asperger’s Syndrome that are of particular interest to occupational therapists. In a study of sensory processing abilities, children who have Asperger’s Syndrome scored significantly different than matched controls (Dunn, Myles, & Orr, 2002). Rinehart, Bradshaw, Brereton, & Tonge (2002) have suggested that the time that children develop laterality may be linked to the emergence of some forms of autism. Another study (Weimer, Schatz, Lincoln, Ballantyne, & Trauner, 2001) identified that children who have Asperger’s demonstrate poor performance on tests of practic and balance functions and tend to score better on visual-motor tasks. Several studies indicated that clumsiness is a common finding in children who have Asperger’s (Ghaziuddin, Butler, Tsai, &amp; Ghaziuddin, 1994; Manjiviona, & Prior, 1995; Iwanaga, Kawasaki, & Tsuchida, 2000) although there does not seem to be evidence that clumsiness itself can distinguish between Asperger’s and other forms of autism. The ICD-10 (1992) specifically states that Asperger’s Syndrome is a “disorder of uncertain nosological validity.” The validity of AS has been and continues to be controversial (Wing, 1991 as cited in Klin & Volkmar, 1997; Klin and Volkmar, 2003). Considerable debate continues regarding the diagnostic validity of Asperger’s Syndrome. Klin and Volkmar (2003) identify co-morbidity as a diagnostic problem for this disorder. Despite these ongoing questions, there is little doubt that people who have the disorder have multiple needs that require multidisciplinary intervention. Although there are no definitive studies identifying genetic factors as being responsible for Asperger’s, case studies and family studies indicate that there may be an increased incidence of both autistic disorder and Asperger disorder in the relatives of people who have Asperger disorder (Volkmar, Klin, & Pauls, 1998). A small study was conducted comparing obstetric factors between children identified as having Asperger’s and those having high-functioning autism (Ghaziuddin, Shakal & Tsai, 1995). The children who were diagnosed as having Asperger’s were more likely to have been born outside the optimal age group (twenty to thirty years old) and also tended to have lower APGAR scores at one minute. This study has not been replicated. Very little has been published regarding the role of the immune system and biochemical interventions for any form of autistic spectrum disorder. Danczak (2000) emphasizes the biochemical approach based on immunology. He states that food allergy is not important and that it is only a symptom of an underlying unstable immune system that needs intervention. He promotes a chemistry-based therapy that is supplemented by a behavioral program. However, this approach has not been published in any peer-reviewed journal despite its wide popularity on the Internet. Croonenberghs, et.al. (2002) identified that there were significant differences of IgG concentration levels in people who have autism that may indicate the presence of an underlying autoimmune disorder and/or enhanced susceptibility to infections. Contrasting this finding is that despite anecdotal reports that impaired autoimmune function can cause autistic spectrum disorders, research indicates that there is strong evidence against the hypothesis that MMR vaccination and associated immunopathology causes autism (Madsen et.al., 2002). The degree to which immunological factors had any impact on the etiology of his condition also remains very unclear. Because of the combination of factors including questionable nosological classification of Asperger’s Syndrome combined with no clearly identified etiology of the disorder as a whole it is difficult to determine the precise etiology of the condition. American Psychiatric Association. (2000). Diagnostic and Statistical Manual of Mental Disorders-Revised (DSM-IV-TR). Washington, DC: Author. Croonenbergs, J. Wauter, A., Devreese, K., Verkerk, R. Scharpe, S., Bosmans, E., et.al. (2002). Increased serum albumin, gamma globulin, immunoglobulin IgG, and IgG2 and IgG4 in autism. Psychological Medicine. 32(8), 1457-63. Duggal, H.S. (2002). Bipolar disorder with Asperger's disorder. [comment]. American Journal of Psychiatry. 160(1), 184-185. Dunn, W., Myles, B.S., & Orr, S. (2002). Sensory processing issues associated with Asperger Syndrome: A preliminary investigation. American Journal of Occupational Therapy, 56, 97-102. Fombonne, E., Tidmarsh, L. (2003). Epidemiologic data on Asperger disorder. Child and Adolescent Psychiatric Clinics of North America, 12(1), 15-21. Gillberg, C., Billstedt, E. (2000). 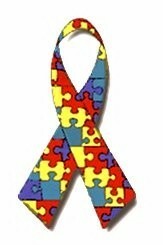 Autism and Asperger syndrome: coexistence with other clinical disorders. Acta Psychiatrica Scandinavica. 102(5), 321-30. Ghaziuddin, M., Butler, E. Tsai, L. & Ghaziuddin, N. (1994). Is clumsiness a marker of Asperger Syndrome? Journal of Intellectual Disability Research, 38, 519-527. Ghaziuddin, M., Shakal, J., & Tsai, L. (1995), Obstetric factors in Asperger Syndrome: Comparison with high-functioning autism. Journal of Intellectual Disabilities Research, 39, 538-543. Iwanaga, R., Kawasaki, C., & Tsuchida, R. (2000). Brief report: Comparison of sensory-motor and cognitive function between autism and Asperger Syndrome in preschool children. Journal of Autism and Developmental Disorders, 30, 169-174. Klin, A., & Volkmar, F. R. (1997). Asperger’s Syndrome. In D. J. Cohen & F. R. Volkmar (Eds.). Handbook of Autism and Pervasive Developmental Disorders (2nd ed., pp. 94-122). New York: Wiley & Sons. Klin, A., & Volkmar, F. R. (2003). Asperger syndrome: diagnosis and external validity. Child and Adolescent Psychiatric Clinics of North America, 12(1), 1-13. Kranowitz, C.S. (1998). The Out-of-sync child. New York: Perigee Books. Rinehart, N.J., Bradshaw, J.L., Brereton, A.V., & Tonge, B.J. (2002). Lateralization in individuals with high-functioning autism and Asperger's disorder: a frontostriatal model. Journal of Autism & Developmental Disorders. 32(4), 321-331. Volkmar, F.R.,Klin, A., & Pauls, D.L. (1998). Nosological and genetic aspects of Asperger syndrome. Journal of Autism and Developmental Disorders, 28, 457-463. Weimer, A.K., Schatz, A.M., Lincoln, A., Ballantyne, A.O., & Trauner, D.A. (2001). “Motor” impairment in Asperger Syndrome: Evidence for a deficit in proprioception. Journal of Developmental and Behavioral Pediatrics, 22, 92-101. Wing, L. & Potter, D. (2002). The epidemiology of autistic spectrum disorders: is the prevalence rising? Mental Retardation & Developmental Disabilities Research Reviews. 8(3), 151-161. World Health Organization (1992). International Classification of Diseases, 10th edition (ICD-10): classification of mental and behavioral disorders. Geneva, Switzerland: Author. What of the connection between Apsergers and mothers who have Borderline Personality Disorder? I have never heard of any such connection. Do you have any literature to support this comment? I try to be open minded, but I can't help thinking that this is probably a drive-by 'refrigerator-mom' attack. Especially since you linked Google to your user profile. i'm so intresting about ur article..
however i still didn't know the suitable intervention for this patient..
especially for occupational therapy intervention.. This entry was meant as a 'primer' or basic reading about the diagnosis - not as information on intervention. I'll try to address intervention in a future entry. Its a very informative message of comparing aspergers and autism.Why dnt you tell few words of occupational therapy role here.thank you.